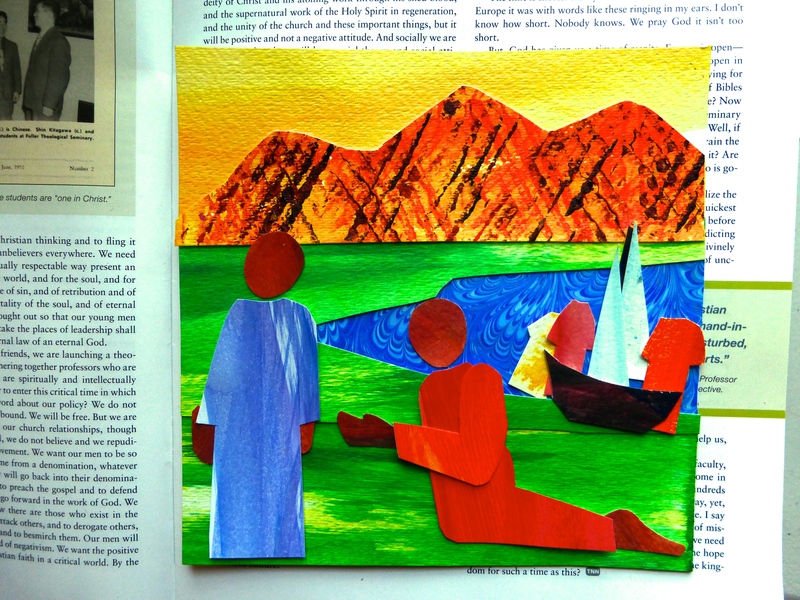 I am beginning the collage process for the story of Jairus’ twelve year old daughter and the woman with the hemorrhage of blood for twelve years. First, I draw out a sketch, in my head or on paper, to get started. It never quite ends up the way I draw it. Next, I lay down the background for the main characters. I’ve got some marble paper from Italy for the water. 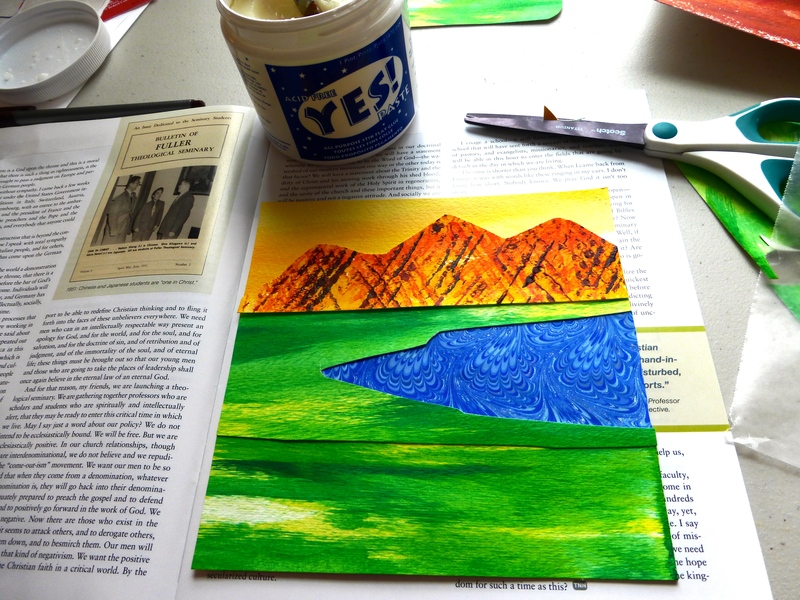 I’ve got my newly painted papers for mountainous textures, sky and land. In the story, Jesus has just crossed the sea having just spent time removing a legion of demons from a man in the country of the Gerasenes. 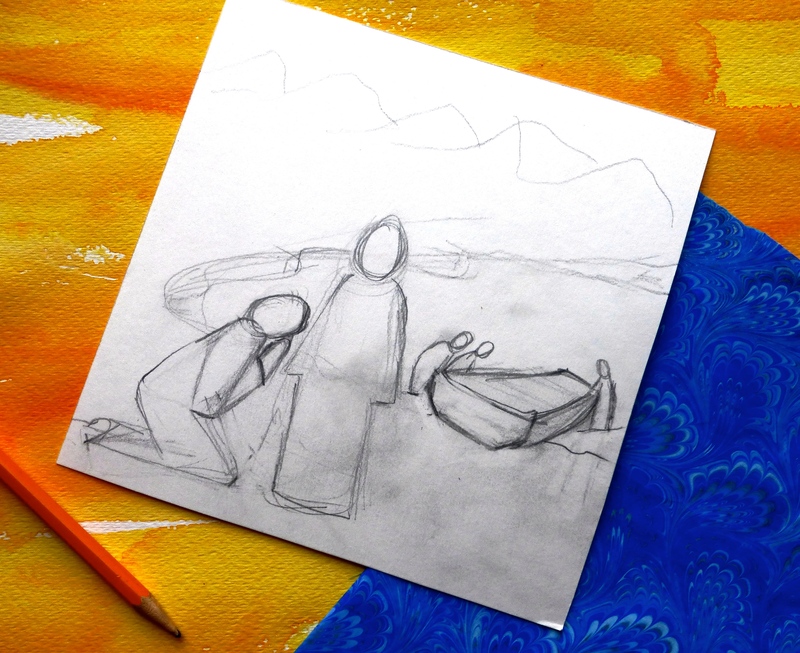 I decide to make Jairus and Jesus bigger than I originally thought I would, so I switched their positions from the way I had my original drawing. 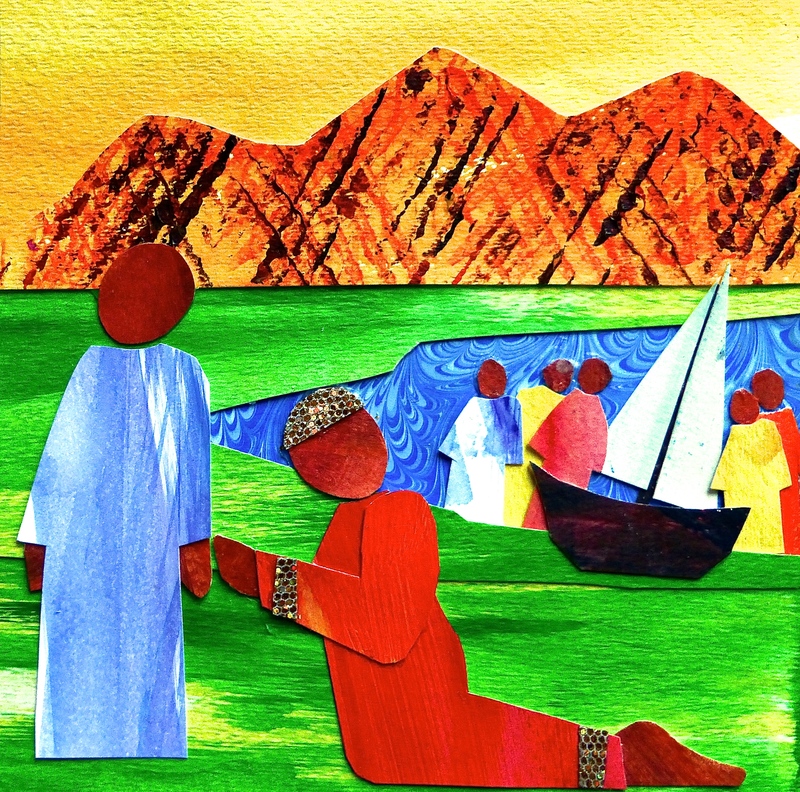 Jesus is heading on His way, but He stops for Jairus. I want Jairus in a humble position, bravely asking, begging Jesus to heal his daughter, just as in the original account from the Bible.